How to change the resource calendar? 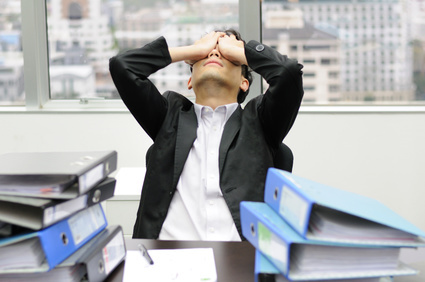 We see a lot of schedules when we are coaching project managers. There we notice that many times the personal vacations are neglected or simply forgotten when making the schedule. Suppose a person has 20 personal holidays in a year, forgetting to add this in the schedule, will already give you a month delay on a one-year project. This post will show tell you how to change the resource calendar to avoid such situations. Think of resource availability as a fish tank of hours you can use to fill up with tasks. Whether you use this availability fish tank for big tasks, small tasks, long or short tasks, at a certain point the fish task is full and the people need to start doing overtime. It is your job to avoid that as much as possible. MS Project warns you for that by showing a red (heated) puppet before the task that requires overtime, based on the working times for that resource. And that’s what we will now do, tell MS Project what the working times per resource are. 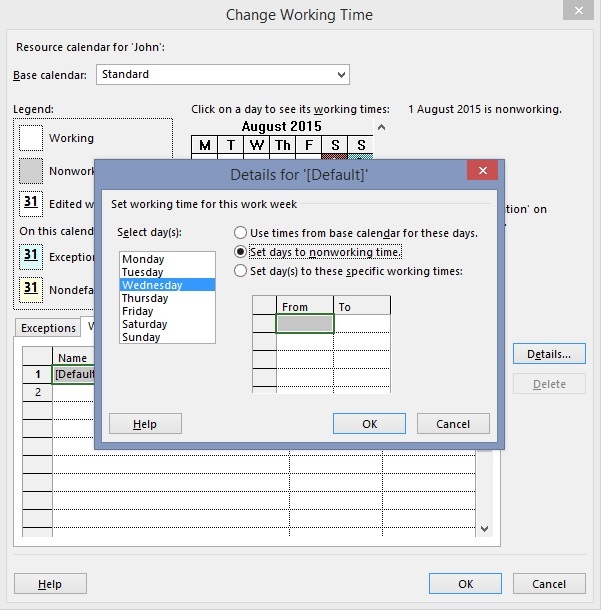 When entering a resource in MS Project, MS Project automatically creates a resource calendar. By default, it assumes an forty-hour work week, with five 8-hour days. 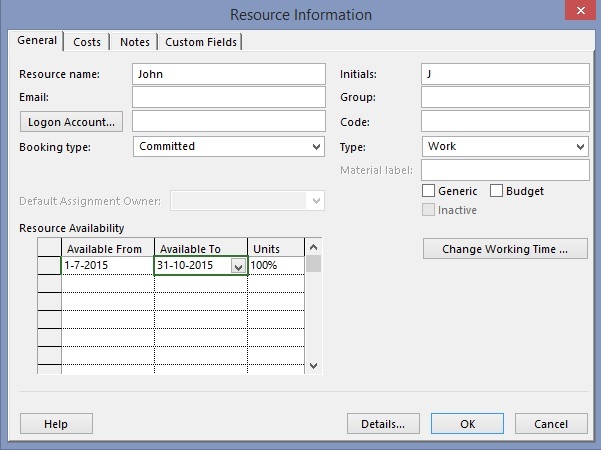 In the Resource Sheet, double-click on the resource so that the resource information window appears. To deviate from the standard calendar, either modify this standard calendar or create special resource calendars. For example swing shifts or night shifts. Purchase Order: to indicate a resource is only available for a certain range of time, put the start and finish date of the availability period in the available from and available to fields. This will automatically set the time outside these timeframes to 0%. Vacation of absence: click Change Working Time. In the Exceptions tab, enter name for example ‘vacation Spain’ or ‘PPM training’ and the start and finish date of the non-available period. 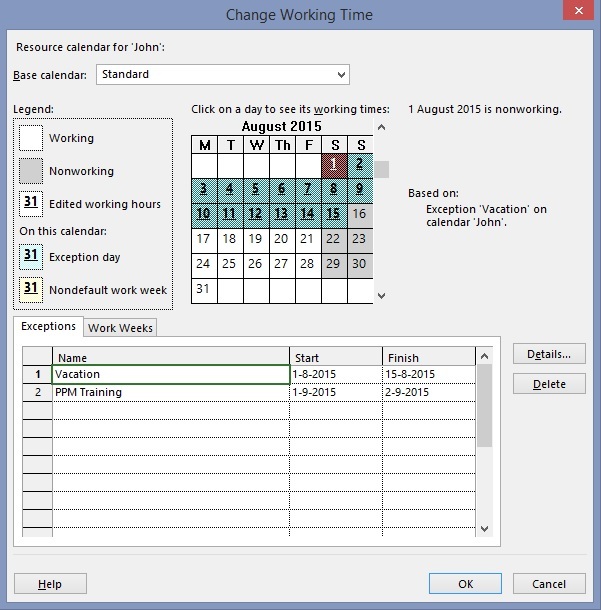 Part time days: click Change Working Time > tab Work Weeks > details and change for example the Wednesday to Set days to nonworking time if Wednesday is the standard day off for this resource or Set day(s) to these specific working times: when you want to change the default working times for specific days. → How to use the team planner view?